The Solution: Finger Detangling, Weekly deep conditioning, Monthly protein treatments, Washing in sections, Less manipulation, Scalp Massages. The Goal: Longer, Stronger, Defined, and Shinier Hair. This challenge I'm on has been great so far. Finger detangling and single stand knots has been my kryptonite. However, I have noticed a big change in the health of my hair, as well as, EDGE GROWTH. YAAYYY! I have been documenting my edge progress since December of last year and I have been plesantly surprised at the change. At first, I started to see what I like to call "peach fuzz" or "beady beads" around my edges which let me know that there was some growth happening. Now, the left side has grown in about 90% and the right side 70%. I'm excited to see how much progress I've made when this challenge is done. To see a close up of my edges back in December, click HERE. To see some things I was doing to promote growth in December, click HERE. 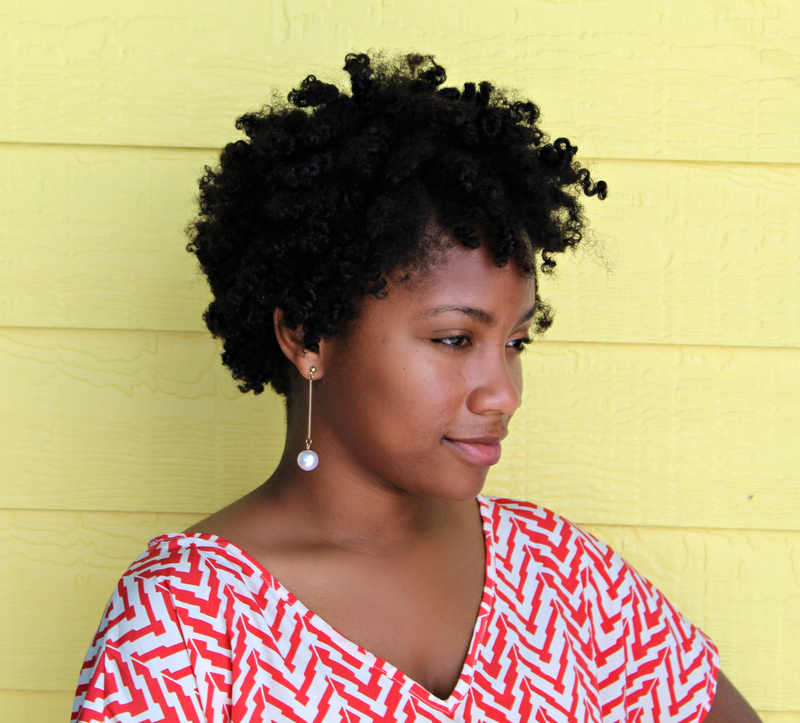 Join me for the remainder of a 3 - Month Curly Hair Challenge. There is a month and a half left to get those stands in shape!!!! All you have to do is sign up and follow along. Click HERE for the direct link. I hope you will join me. 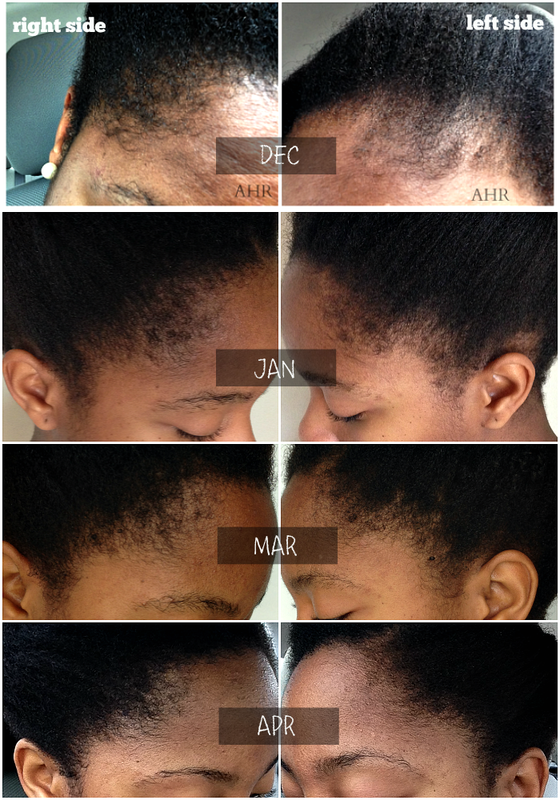 4 comments on "Nursing Natural Hair Back To Health: Month 2"
YYAASS to progress! You're doing a fantastic job on this challenge chica!